The magnificent, radiant colour of the emerald is best known for its lush green hue. The sophistication carried by this precious stone is a source of pleasure for both, the wearer and the spectator. 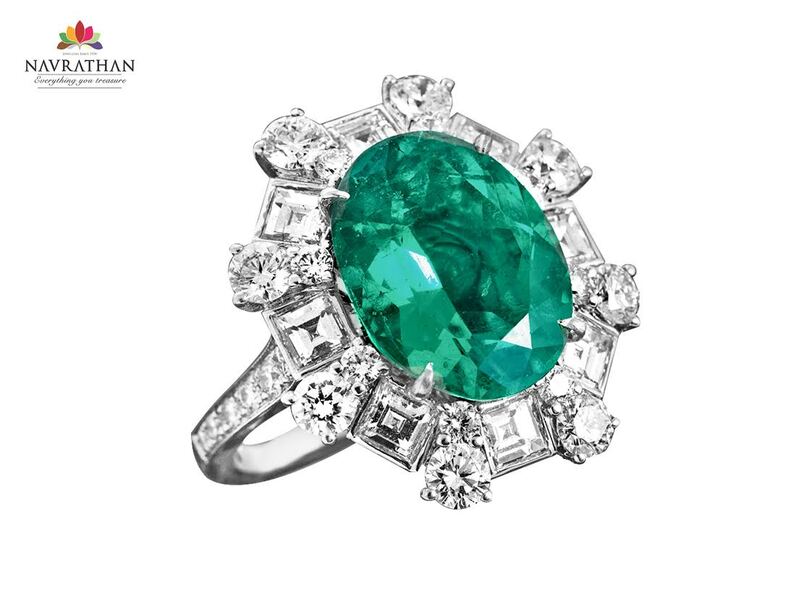 To bring this beautiful gemstone with a touch of elegance and grandeur, Navrathan Jewellers has exclusively crafted an Emerald Collection. The Emerald Collection from Navrathan Jewellers is a perfect blend of traditional and contemporary fusion designs that will steal the show with its presence. Each of the jewellery is crafted with designs like none, so no two are alike. Whether set in illustrious gold or intertwined with elegant pearls, this breathtaking green gemstone will display its glamour and leave you mesmerised. These jewellery pieces are available exclusively at Navrathan Jewellers. It is soothing to the eyes of commoner and food for the soul to the connoisseur. When it comes to tradition, the arts and jewellery, one name have stood apart in Bangalore. Since 1954, Navrathan Jewellers has been the choice of queens as a symbol of royalty. Breathing life into India’s rich heritage of royal designs, craftsmanship and antique techniques, Navrathan is a bastion of temple jewellery, Belgian-cut diamonds, precious gems, and 22k gold and silver articles. With intricate, handcrafted designs, Navrathan offers jewellery for occasions, weddings, heirlooms, everyday use and more.